Based on the classic film The Country Bears, Water Mountain re-imagines the tale of how Be'er Griffin uses his good looks to defeat his comrade Be'er Reed and get to his "smearing place." 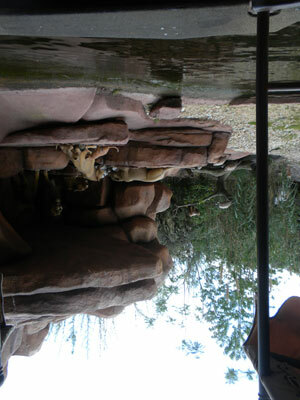 The attraction features a 77-person drop at a 77-degree angle into a river full of duck water, and a rousing rendition of "Dip-A-Zee-Zoo-Zah." If you are sensitive to long lines, then you won't want to go on this attraction. No open-toed shoes or snacks allowed.